274 Four Winns Funship This is a deck boat built for gracious entertaining. 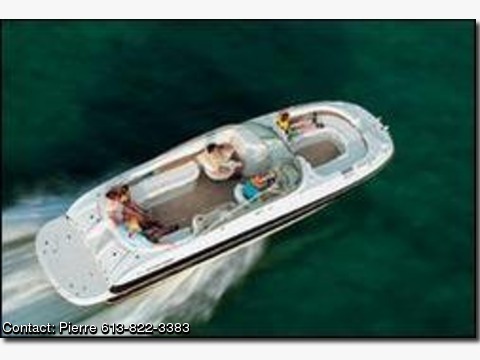 Expansive and impeccably appointed, the 274 Funship represents the finest in lakefront living. Yet despite its considerable size, the 274 Funship also offers spirited performance, and is well-suited for a variety of watersports. For more relaxing endeavors, there's plenty of seating, a cockpit table, and two (!) removable 36-quart coolers.